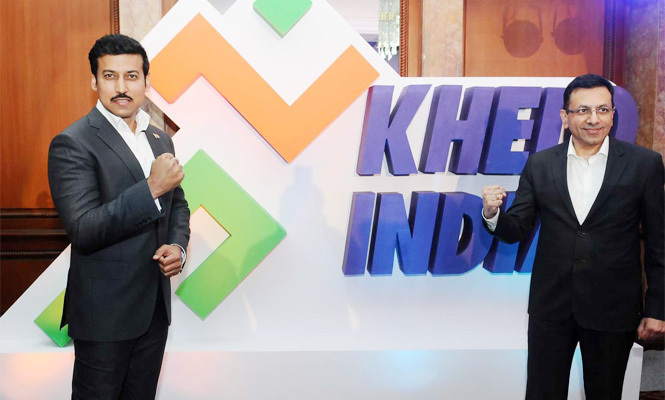 Our honorable Prime Minister, Mr. Narendra Modi with the help of our Sports minister Rajyavardhan Rathore has launched a very ambitious project called Khelo India. 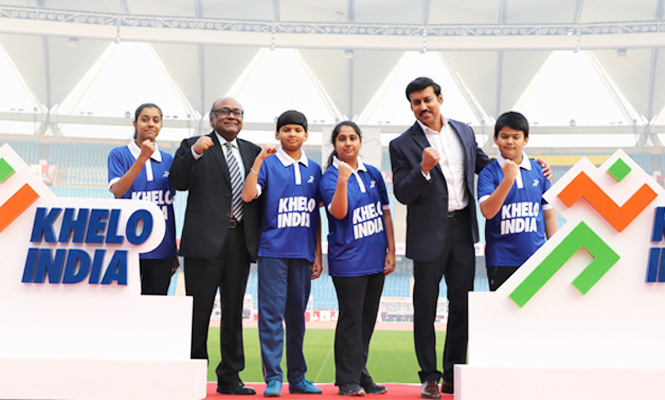 The Khelo India programme has been introduced to revive the sports culture in India at the grass-root level by building a strong framework for all sports played in our country and establish India as one of the greatest sporting nations. This is similar to what KheloMore stands for. KheloMore is an app that connects coaches/academies with players across the cities of Mumbai Delhi, Pune, Baroda and Hyderabad. At the moment, Cricket, Football, Tennis, Badminton and Table Tennis are the sports which form part of the growing list of sports.Curious about finding a coach? Choose your favorite sport, pick your city and follow the link to train with some of the best coaches near you! 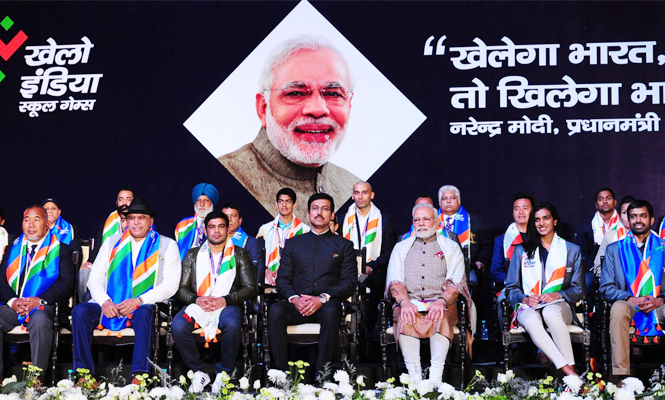 The Prime Minister, Shri Narendra Modi at the inauguration of the first edition of Khelo India School Games, at the Indira Gandhi Indoor Stadium, in New Delhi on January 31, 2018. 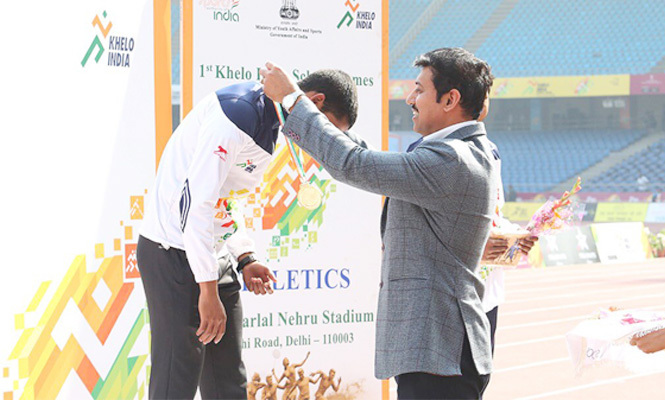 The Minister of State for Youth Affairs and Sports (I/C) and Information & Broadcasting, Col. Rajyavardhan Singh Rathore is also seen. 5 unusual sports which you might not have heard before! Best Football Academy In Pune | National Youth Football Academy | Santosh Trophy! Soccer Schools Of Excellence the best football academy in Mumbai joins hands with KheloMore to develop grassroots. Fitness assessment day at KheloMore Don Bosco Cricket Academy with Binny Fitness Lab.